Vita-Mix corporation was started in 1921 when founder, W.G. Barnard started traveling around the country to sell modern kitchen appliances and products. It was in 1937 when “Papa” Barnard introduced a new product called the blender. This modern product created a tremendous value because it allowed users to easily and quickly prepare healthy foods. He soon named the product the “Vita-Mix”, because the word vita means life. After 10 years of successfully selling the Vitamix, a new form of marketing was now available to Papa Barnard. Live demonstrations via television was the latest medium to show others the power of a Vitamix. In 1949, Papa Barnard went down in history by creating the first infomercial. In 1955, the name of the company was officially changed to the Vita-Mix Corporation. In 1969, the Vitamix 3600 was introduced to the public. This was the first blender that would blend ice, make warm soups, and grind grain. A truly innovative product that allowed users to create healthy and tasty food. 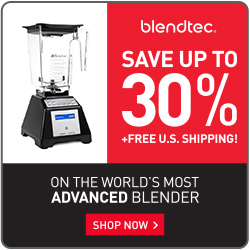 Today, Vitamix is the leading blender company in the world. They can be found in leading restaurants and are used by the top chefs in the world. Some of the restaurants include Mcdonalds, Starbucks, Dairy Queen, Jamba Juice, Panera, and more. The company is located in Olmsted Township, which is a small mid-western town just south of Cleveland, Ohio. The company continues to grown in double digits annually. This dynamic company is currently led by Jodi Berg, who is a fourth generation of the Barnard family. The Vita-Mix Corporation’s commitment to quality, customer service, and unmatched performance is what makes them the preferred brand for everyday people, top chefs, and the best restaurants all over the world.